Being half Italian, I ate a lot of amazing Italian food growing up. Among the things that traditionally appeared around Easter were plates of little yellowish cookies, frosted with simple icing and sometimes topped with a few multicolored sprinkles. But as much as I looooved frosting as a kid, that wasn’t the best thing about these delightful little desserts. They had anise. Yes, anise extract in a cookie. And it was amazing. Anise is one of those flavors that people seem to love or hate. It’s strong and unique; if I had to describe it to someone who’d never tasted it, I don’t think I’d be able to. Anise tastes like anise. I happen to love it, and we always had a bottle of anise extract around specifically for making this sort of recipe. If you don’t have any, it’s worth trying. Although I noticed a warning on mine to be careful not to pour it near an open flame…unless you want cookies flambe, I suppose? 1) Preheat the oven to 375°F. 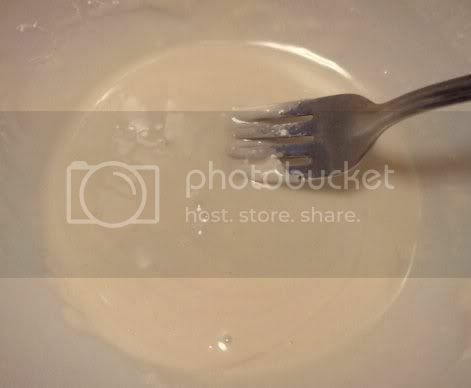 In a large bowl, mix together the oil and sugar until well combined. 2) Add the flaxseed mixture and anise extract; mix well. 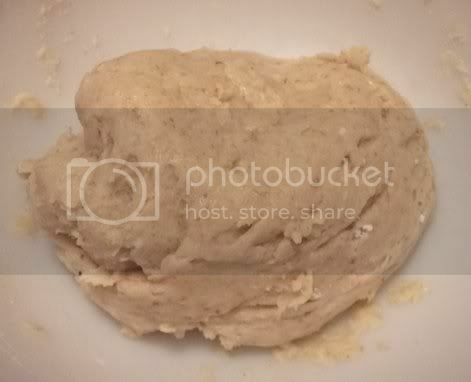 3) Add the baking powder and the flour and mix to form a thick dough. 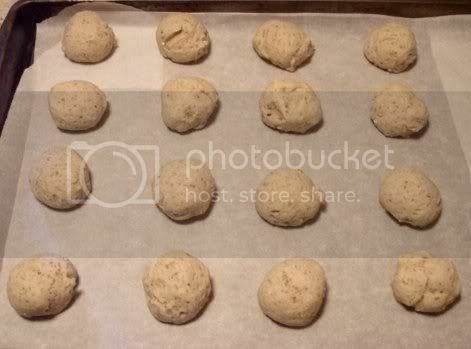 4) Scoop dough by tablespoonfuls onto lightly greased or parchment-covered cookie sheets. Bake 10 minutes or until bottoms are golden brown. 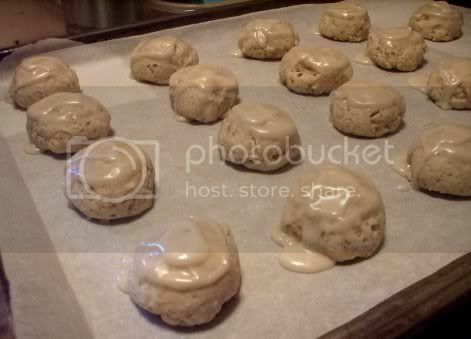 5) While the cookies are baking, mix together the frosting ingredients in a small bowl. Add water if necessary to reach icing consistency. It should be thin enough to drizzle, but thick enough to stay on the cookies. 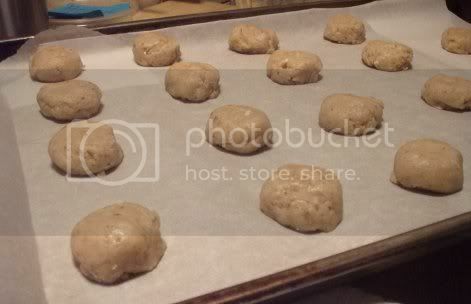 6) Frost cookies when warm and transfer to wire racks to cool completely. The easiest way to frost these is to gently pick up each cookie and dip it in the icing, letting the excess drizzle back into the bowl. Being half Italian, I ate a lot of amazing Italian food growing up. Among the things that traditionally appeared around Easter were plates of little yellowish cookies, frosted with simple icing and sometimes topped with a few multicolored sprinkles. But as much as I looooved frosting as a kid, that wasn’t the best thing about these delightful little desserts.They had anise. Yes, anise extract in a cookie. And it was amazing. 1) Preheat the oven to 375F. 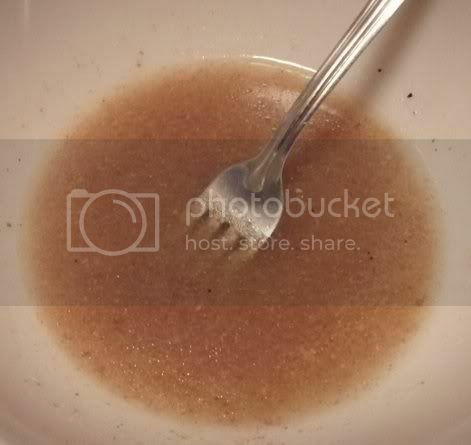 In a large bowl, mix together the oil and sugar until well combined. 2) Add the flax “eggs” and anise extract; mix well. Thank you so much for this recipe, it looks and sounds very much like one that my Grandma made when I was growing up. She would let the cookies get hard and we would eat them with coffee, kind of like a biscotti…. I’ve tried for years to find a recipe (Grandma did everything by memory and she died when I was only 11) and now I think I’ve found it! Yey! I’m so glad. 🙂 This is my grandmother’s recipe, veganized!